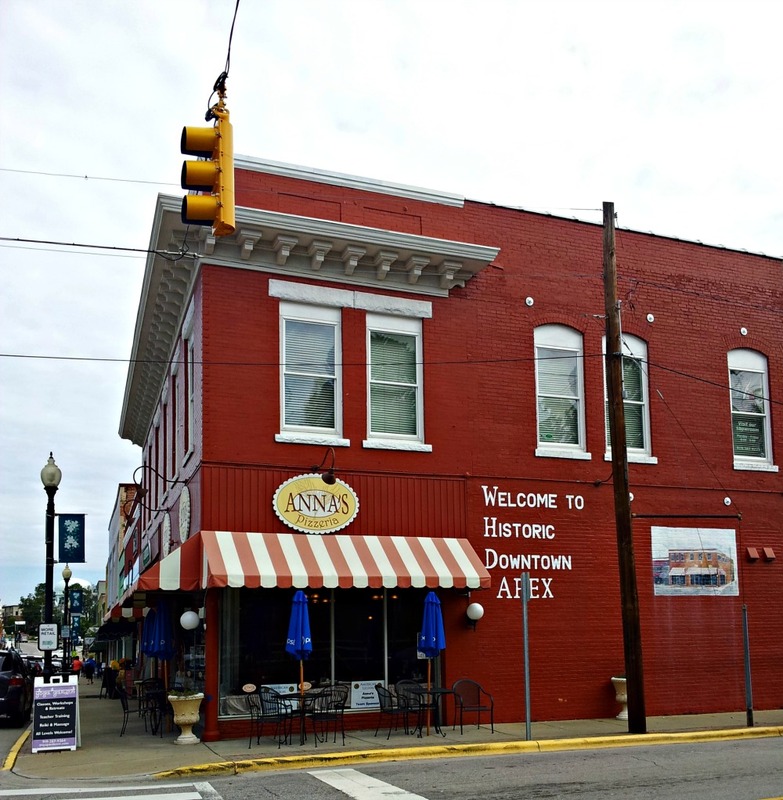 If you like the charm of a small town, plus the sophistication of good restaurants, craft brews and shopping that big cities offer, I’ve found it all in historic Apex, North Carolina. 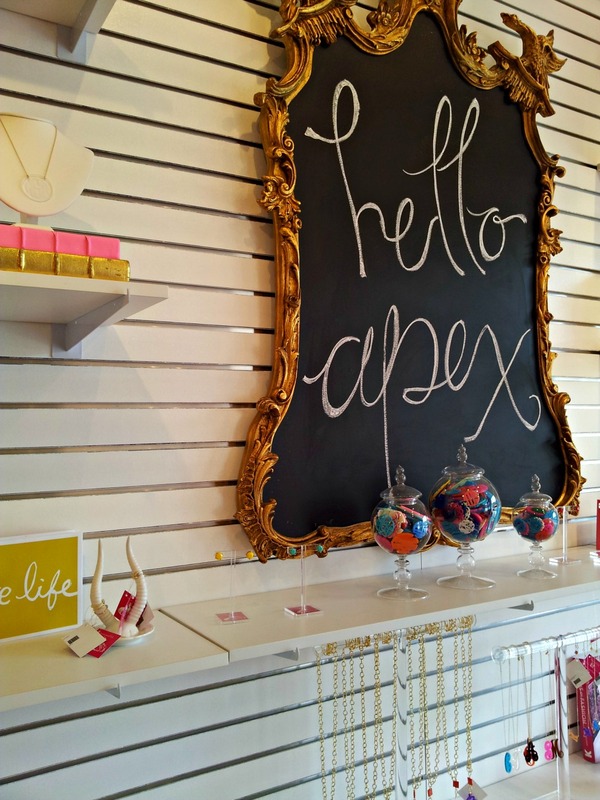 Apex is one of my favorite destinations in Greater Raleigh. The town, founded in 1860, is considered one of the most intact turn-of-the-century railroad towns in the area and is listed on the National Register of Historic Places as a historic district. With its location only about 20 minutes from downtown Raleigh, it’s a great place to spend the day, a morning or afternoon. I love to have lunch in downtown Apex. Around lunchtime, the town is bustling with people, so parking is at a premium. There are lots of great choices for dining, but I can’t resist Anna’s Pizzeria when I’m in town. A slice of white spinach pizza pie is my favorite dish served with a salad. It’s just yummy. I think it’s delightful to stroll through the downtown shops after lunch. 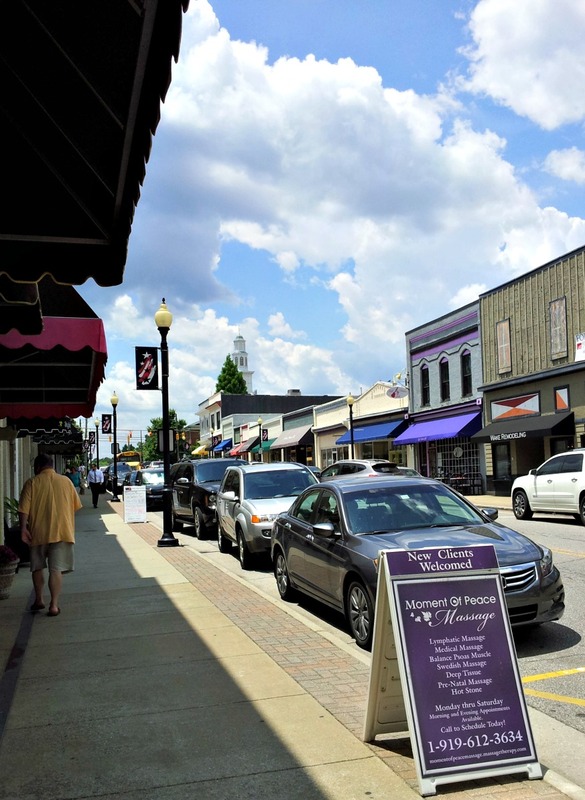 There are more than 25 retailers in historic Apex, each offering something unique, and all locally owned. From the bookstore, All Booked Up, to fashion-forward stores like Fedora, Sophie and Mollie’s and My Girlfriend’s Closet, there is something to see on every block. Beer lovers will adore The Beer Dispensary of Apex. It’s stocked with the best craft beer available in N.C., all over the U.S. and around the world in a "tavern-esque" atmosphere! 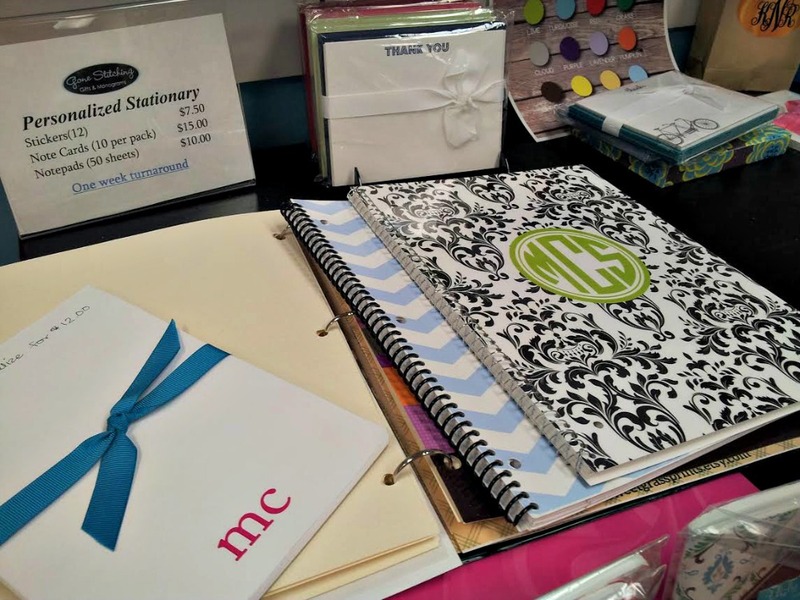 If you love monograms, then you’ll love visiting Gone Stitching Gifts and Monograms. From stationery to cute coolers, you will be able to find a gift for everyone on your list at a very reasonable price. And for those of you who cannot get enough of the N.C. lifestyle brand known as Moon and Lola, you’ll love knowing that the headquarters of the company is in the heart of town. 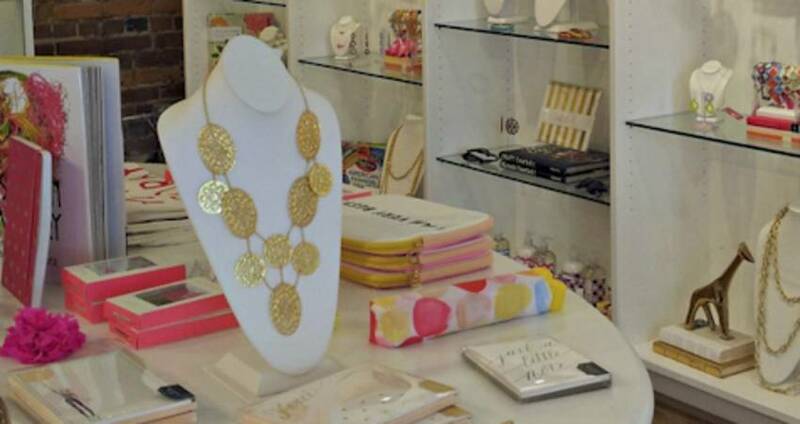 A brand new Moon and Lola retail shop is located on Salem St. Someone I know is going to cost her mom a lot of money one day because she loved everything in the store. After an afternoon of shopping, it is fun to pop into Common Grounds Coffeehouse for a house-roasted coffee or, if you are looking for something more Parisian chic, served with a Southern smile, then stop in Buttercream’s Bake Shop for something sweet and an espresso. Y’all know I can’t resist coffee, sweets and a town with Southern charm. See you in historic Apex. For more on Apex, click here. 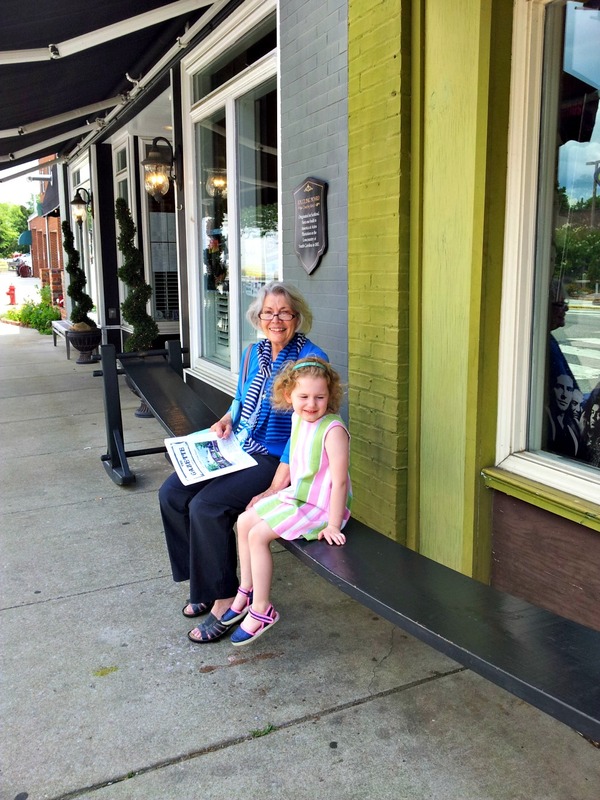 Leigh Powell Hines is founder of the N.C. travel community #outaboutnc on Instagram, Facebook and Twitter. Follow her lifestyle and travel blog, Hinessightblog.